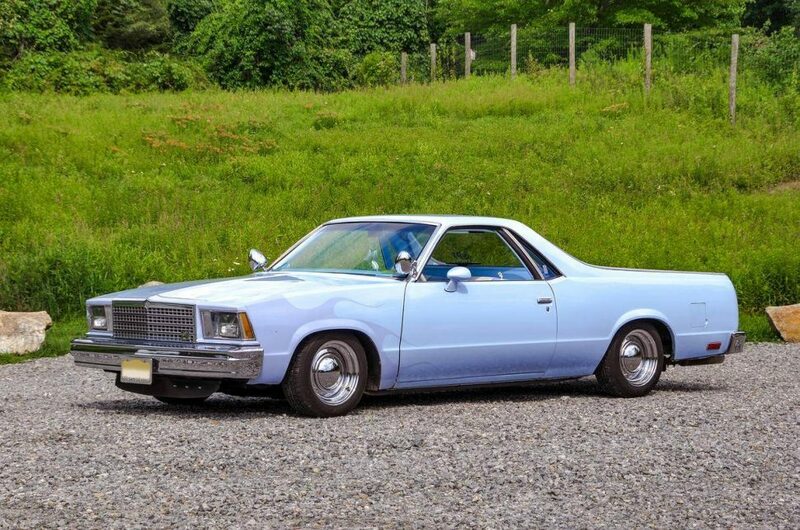 This 1978 Chevrolet El Camino is a driver that is cool and dependable. 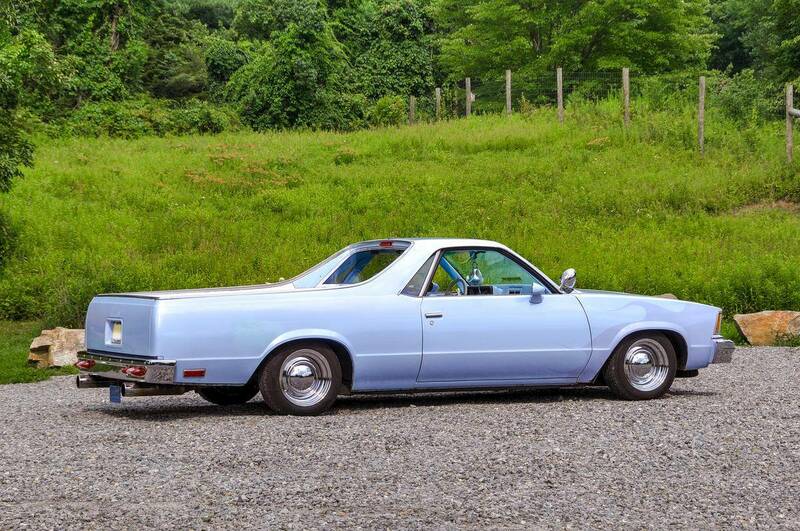 It has some paint imperfections that you would expect to see in a car that gets driven. The custom paint has a touch of candy lavender in the clear coat that really makes the paint look awesome in the sun and shows off the purple ghost flames. The custom interior has new gauges set in a custom panel on the dash. The car has factory air a new radio wired for Sirius. The dual exhaust is stainless with glass packs and has that 50’s sound. 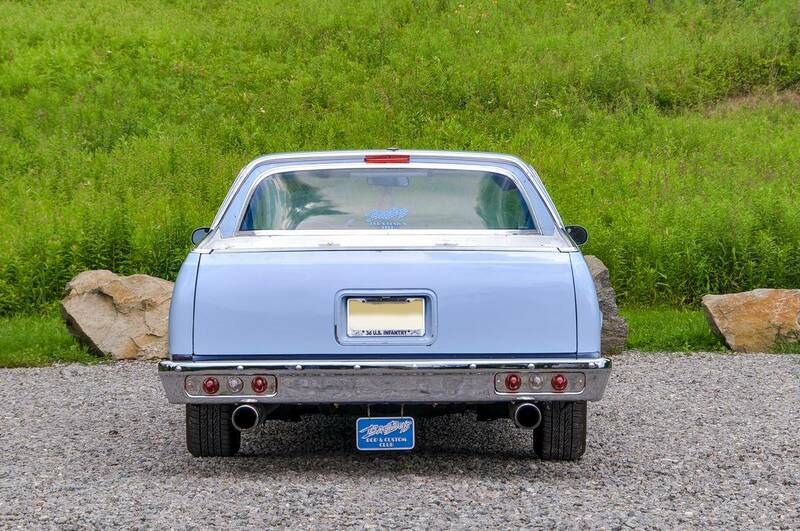 To add to the look there are dummy spots, chasis neon, custom front and rear bumpers, and ’59 Caddy tail lights. The car sits right as it was just lowered 2 inches, and a third brake light was added for safety. 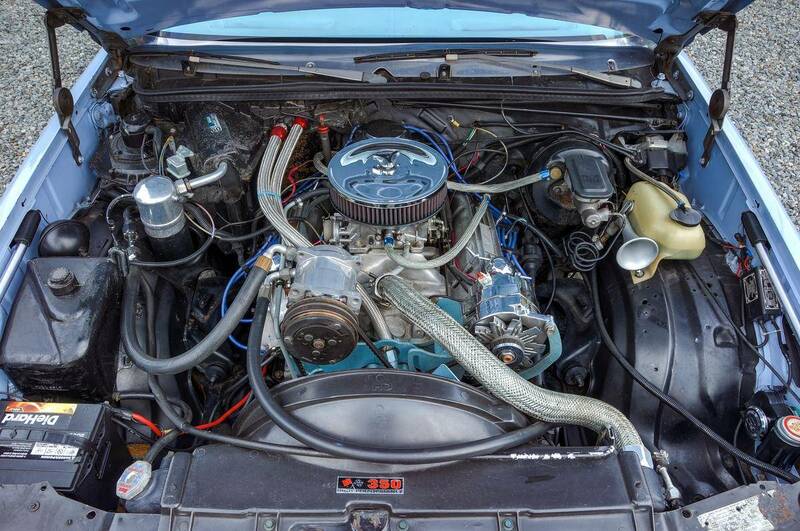 The front end was recently rebuilt with control arms, bushings, ball joints, sway bar links, dropped spindles, rotors, brakes, bearings, steering linkage, and a new trans mount. Other highlights include 350 V8 w/ 4 Barrel, Flame Thrower, White Rhino Bed, and Rear Air Shocks to raise bed with load.